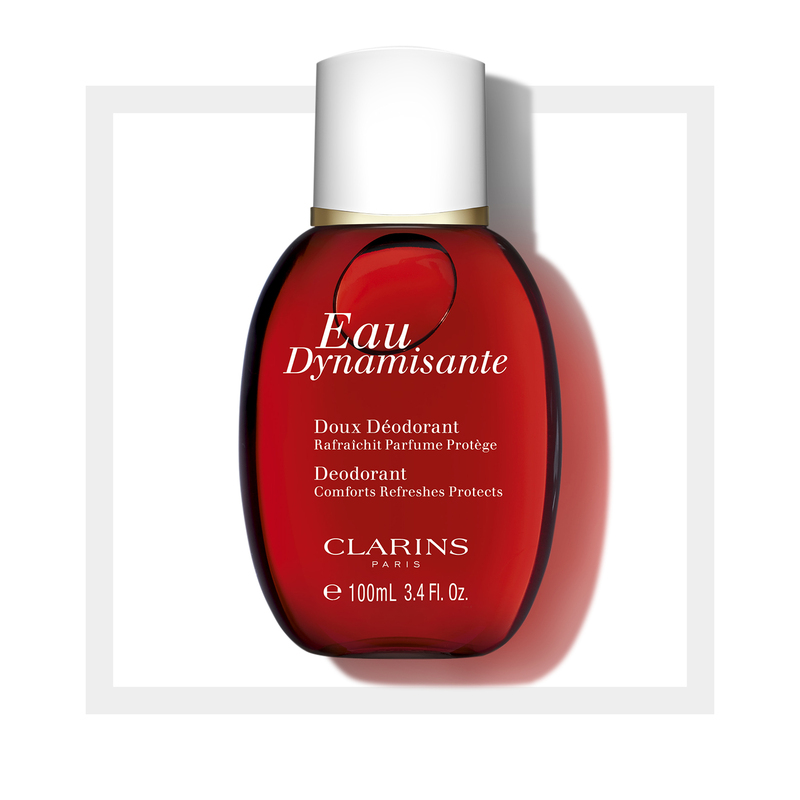 Clarins’ exclusive, plant-infused complex—with soothing Licorice extract—helps prevent and neutralize body odors without interfering with the natural perspiration process. Proven, long-lasting action ensures all-day freshness and comfort. The ideal complement to Eau Dynamisante Invigorating Fragrance and Eau Dynamisante Moisturizing Body Lotion. Rated 5 out of 5 by Mailkitty from Guys this really works I was searching for a deodorant that doesn't have bad chemicals that irritates my skin, doesn't ruin my clothes, and get rid of the sweat smell. This is the one! Initially when I first put it on, I thought it smells like a porchegies men's clougne in the 80s. But once the day goes on, it fades into this gentle, pleasant herbal smell that doesn't compete with other scents that I'm wearing. I also like the spray. It keeps the product clean. It's pricy for a deodorant, but thinking about how much money I wasted on those drugstore non-working deodorants, this is not bad if it makes my life better. Plus this bottle will last a long time. I think it's now my official deodorant, and my boyfriends' after he tried mine. Rated 5 out of 5 by Rosie from Works really well and delicate scent Totally non-irritating.